• And is great tasting! 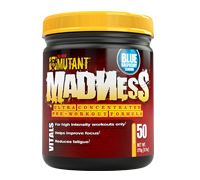 MUTANT MADNESS seizes the pre-workout experience, and vaults it to a whole new extreme level! Engineered exclusively for high intensity workouts only, this extra premium formula will jolt your senses. We warn you — seriously — read the entire label first before trying — use responsibly! 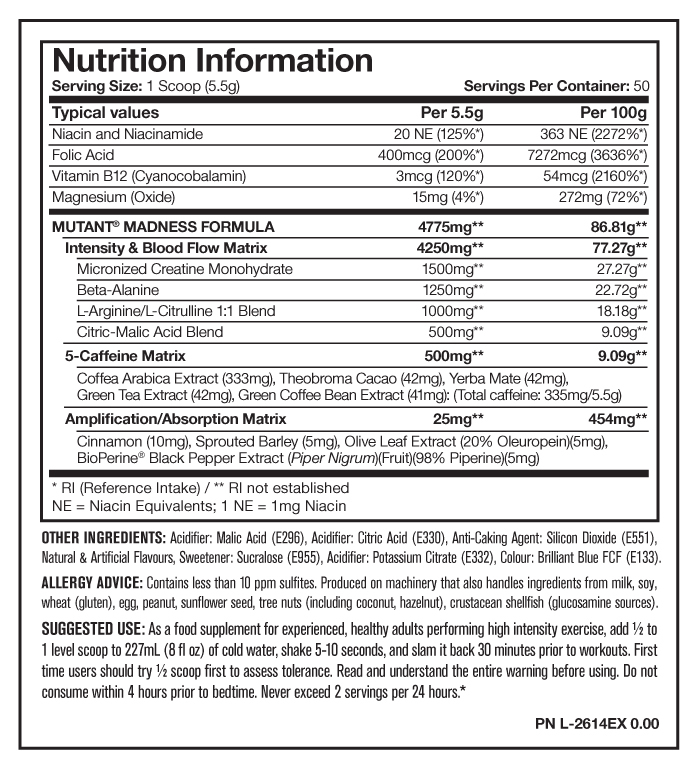 As a food supplement for experienced, healthy adults performing high intensity exercise, add 1/2 to 1 level scoop to 227mL (8 fl oz) of cold water, shake 5-10 seconds, and slam it back 30 minutes prior to workouts. First time users should try 1/2 scoop first to assess tolerance. Read and understand the entire warning before using. Do not consume within 4 hours prior to bedtime. Never exceed 2 servings per 24 hours.